According to the analysis of student testimonials on the largest database of international students in the world, Austria provides one of the best experiences while studying in Europe. Their results were part of the StudyPortals International Student Satisfaction Awards 2014. They were based on more than 7,000 opinions gathered from students including the more than 220 who gave their account of the study experience in Austria. From an analysis of their experience, proper Austria student visa guidance was the common factor in most of their confessions. Austria was rated at 9 out of 10 and allocated the fourth position in the international student satisfaction survey. The impression of students offer unique insights into Austrian universities and confirm the country as a top destination for international students. Among the ten institutions to be awarded, the Vienna University of Technology was the only organization that received a distinction of outstanding international student satisfaction with a score of more than 9.5 out of a possible 10. Those that received excellent scores included the University of Salzburg and the University of Graz. 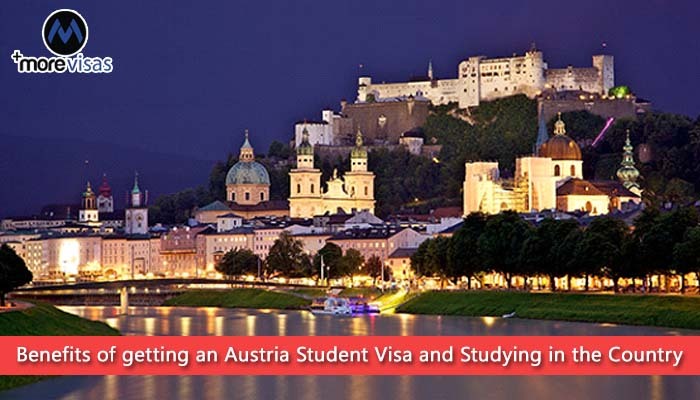 With an Austria student visa, the experience in Austria is one of cultural richness and diversity on top of the unforgettable social experience to international students. The Austrian city life, cultural experiences, and activities are way above average as compared to other European countries. Many of the international students pointed out the excitement of developing their German language skills as one of the most enjoyable activities they undertook. A student from Italy described Vienna, the capital city of Austria, as the perfect city to live. Due to its centrality in Europe, it borders other beautiful cities such as Prague and Budapest. The active cultural life and a variety of activities to engage in make it fun and enjoyable. Besides, the overall quality of academics and diversity in the programs offered takes this experience to a new level. Those who have undergone the Austrian study experience sometimes complain about the high accommodation costs. However, compared to other parts of Europe, studying in Austria is a cheaper alternative. Before applying for your Austria student visa, it is important to know that although Austria offers many opportunities for studying the German language, beginners can face difficulties as a result of the small number of courses taught in English and the local dialect. Besides, Austrian universities have many opportunities for international students who wish to study in Europe.